Remember in high school when you were mortified to be dropped off at Prom in the family minivan? Imagine that embarrassment multiplied by a thousand when it comes to your wedding day. Transportation might seem like a minor logistical decision, but it can really add elegance and luxury to your special day. The last thing you want is to hail an Uber because your other transport plans fell through. 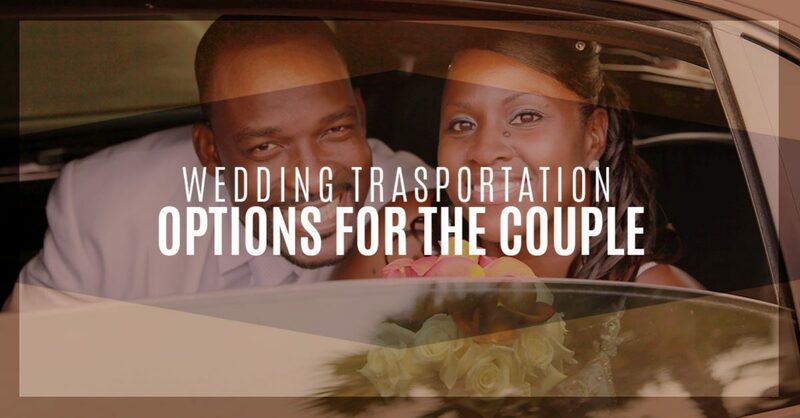 Consider these transportation tips as you decide how to travel on your wedding day! One option is to hire a private car or limo to take you to your wedding venue, assuming it’s at a different location than the reception. If you’re hiring a private car, you want to keep in mind how your wedding parties and families will be traveling. Are they going to be a part of the transport, or will they have to arrange transportation themselves? Private cars can be a bit expensive, especially because you should hire a reliable transportation service. The last thing you want is for your limo driver to stand you up on your wedding day. Make sure to include transport back to the place you’re staying after the reception, as well. If you want to save money, you could have a friend drive you from your ceremony to your wedding venue. While it’s not as glamorous as driving in a limo or private car, this option certainly saves money. You can also decorate your own car with tin cans, streamers, window paint, and the works to make it feel different than your usual commute. Transportation is a surprisingly great way to infuse your interests into your wedding. If you and your partner love road biking, for instance, consider riding a tandem bike into the ceremony. This, of course, comes with its own logistical considerations . . . like the dress. You could also find a Vespa, antique car, vintage truck, or even a horse! We saved the best option for last. If you want a more affordable way to hire a private limo service, find a wedding venue that offers transportation in the package. Going through your wedding venue for transportation is an excellent idea because it reduces the number of third-parties with which you must deal. You have one fewer point of contact and one fewer potential snafu. We can’t recommend this option enough, but it can be rare to find. As you shop for your wedding venue, make sure to ask whether they include this helpful transportation option! At Alegria Gardens in Katy, we strive to make it as simple as possible for the happy couple to enjoy their day. This is one of the reasons we include limo service as a package at our wedding venue. Instead of stressing about too many logistics, we want you to be able to enjoy every part of your wedding day. For more information about our wedding packages and wedding venue, call Alegria Gardens today!